The to‑do list that doesn’t track you. Simple, easy, and not owned by Big Tech. For web, iOS, Android. 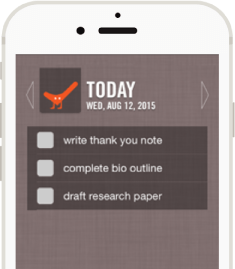 Email your tasks into your list. achieve inbox zero... with Good Todo. Forward emails from your inbox to Good Todo. Then you can manage your tasks there. 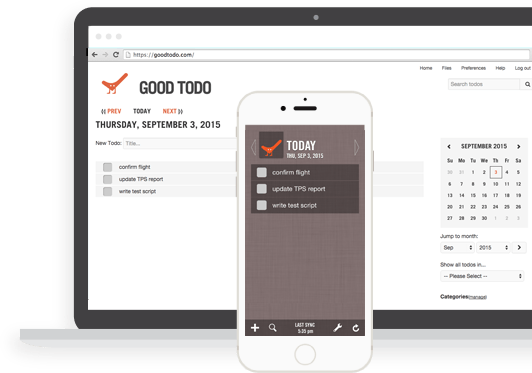 Good Todo syncs your data across multiple platforms. Access your tasks anywhere. Create an account here, or download our iOS or Android app. 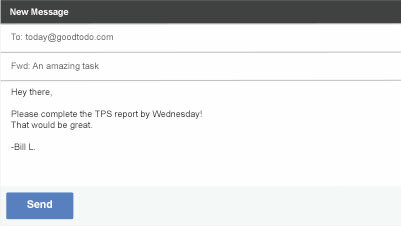 Easily access extra features like categories, recurring todos, and the themes shown here.